This week on Married at First Sight: Honeymoon Island, it’s the end for Isabella McKenzie and Tyler Moody. Tyler leaves with a broken heart. 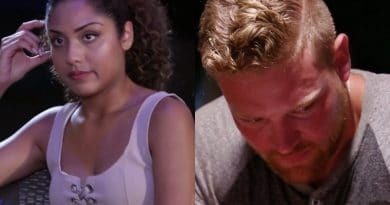 On Married at First Sight: Honeymoon Island, things go from bad to worse for Isabella McKenzie and Tyler Moody as the honeymoon phase ends. 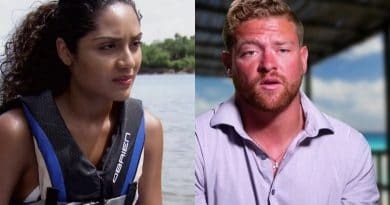 On Married at First Sight: Honeymoon Island, Isabella McKenzie blows up at Tyler Moody over a fun couples activity. Could this be the end? Married at First Sight: Honeymoon Island couple Isabella McKenzie and Tyler Moody have first fight on the show. Honeymoon phase over? 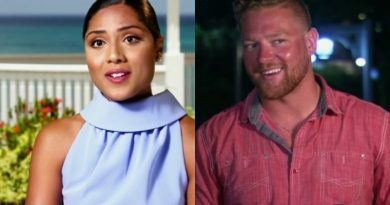 On Married at First Sight: Honeymoon Island, Isabellia McKenzie is condescending toward Tyler Moody. Are the pair headed for trouble?